Good. Sent within 24 hours. Expedited UK delivery available. Dispatched, from the UK, within 48 hours of ordering. This book is in good condition but will show signs of previous ownership. Please expect some creasing to the spine and/or minor damage to the cover. Grubby book may have mild dirt or some staining, mostly on the edges of pages. Very Good. Alice Forrester is 23 years old, six foot tall and weighs under seven stone. She resists help until Maeve, a raucous and rebellious bulimic, shakes her up and ignites her desire to live. B-format paperback. 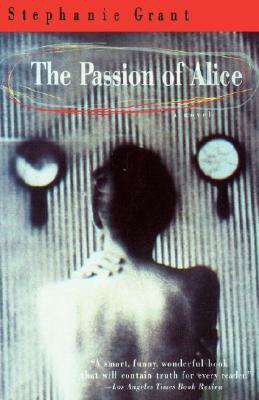 260 p.
The Passion of Alice is by far one of the most hilarious books I've ever read. I found myself laughing out loud at every twist and turn Alice takes in her private wonderland of hospitals and the inscrutable world of eating disorders. The author writes with charm and authority about a girl in her private hell searching for her life and her struggle for life itself.